It was William Shakespeare in ‘The Merry Wives of Windsor’ who first coined this bizarre phrase, meaning you have the potential to do just about anything. It is an encouragement to go further and achieve more. I recall deliberating my own future, many years ago, considering the potential of an exciting career in science, but with it the likely consequent move away from home. As we talked as a family, my grandfather struggled to understand why I couldn’t be content working in a shoe shop in my home town. He just wanted to keep the family together. He didn’t see that I had the potential to make a real difference in the scientific community, and to explore the opportunities I was being presented with. Of course, as the parable suggests, the invitation to enjoy all that the Lord offers, requires us first to put aside all else to obtain the prize. Over recent years our church has become very active serving and reaching out to the community, locally and overseas. These activities have brought huge blessing to many, including us, for which we thank God. They have also come at a cost. During 2015, our eager workforce has become increasingly stretched. Some have felt the need to lay down the work they had been doing, or have been restricted through frailty and external circumstances from being as fully involved. This has placed an even greater burden on the remaining workers, and our wider pastoral ministry within the church has suffered as a consequence. At the same time that we were becoming aware of this ‘imbalance’, we were increasingly hearing a call to return to the Lord and be still in his presence. 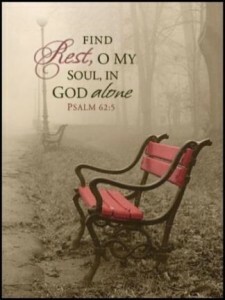 We believe that call was to lay down our busyness and come to rest in his presence. It is a call to put aside even those things that we value in order to receive from our gracious Lord something of far greater worth – our Lord himself! Following months of prayerful searching, and through scripture, insights and pictures given in prayer we have come to understand that the Lord desires to give us so much more. It is clear, however, that this will come only as we wait on him and allow him to speak to us, restore us, equip us and lead us. We believe this is an invitation for those who have become restless to find peace. Busyness can so easily become a distraction, even a convenient hiding place from personal encounter with God. It is an opportunity for physical and spiritual restoration in the stillness and presence of the one who knows us best. It is an opportunity for the Lord to speak into those areas of our lives which require healing or release. 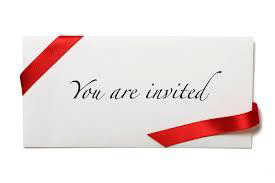 It is an invitation to discern spiritual gifts, gain new insights & learn to walk more closely than ever with the one from whom all blessings flow. In short, it is an invitation to rediscover life with God – the Pearl of Great Price. So how will this work in practice? We are still fine-tuning the detail, but each week, from the start of January we will meet on Tuesday mornings (10.00am) and Thursday evenings (7.30pm) for around 2 hours. We will begin with simple refreshments (tea & coffee) and a relaxed time together, followed by time spent quietly with the Lord, perhaps led by scripture, reflection or music. The goal is to treasure at least one period of stillness in our lives each week, and in the process deepen our relationship with God. In time there may develop opportunity for sharing insights, issues, prayer for one another and for so much more, but the Lord will guide us. We strongly encourage you to attend just one of these times each week, and to come with a simple attitude of heart which says – Lord, I am here for you. I would like to stress one more thing: Our concern for those in the fellowship and beyond has not diminished. Whilst we are being challenged to organise less, we are not being called to abandon. During this season of reduced activity, may we prayerfully and sensitively, continue to encourage and bless those we have come to know. Perhaps this less frantic period will permit more meaningful personal opportunities to call, visit and pray with the lonely and those in need. As we begin a new year, what will you choose? The Lord never forces his people to follow, but as we face uncertainty for the future I know of no safer or more exciting a place to be than by His side. 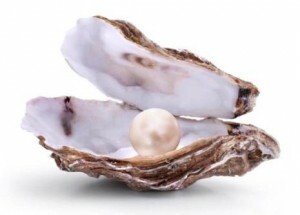 For each of you in 2016, the spiritual world is your oyster. It is the Lord who presents you with this opportunity to explore the possibilities. Will you stick with the familiar and stay at home, or will you take up your personal invitation to know the Lord more fully – to choose the Pearl of Great Price?